The team at Siva Cycle wants you to harness your own energy to power your devices. Ours is the plugged-in generation, loaded up with devices that demand a steady flow of energy at home, at work, and on the go. We have spawned an era of energy dependence - and there's no indication that we can stop. Nate Storey and Bright Agrotech are revolutionizing urban farming by optimizing small spaces and instilling a love of the craft. An interview with Camilo Anabalon published in Core77 that features BabyBe, an innovate medical device designed to bring Kangaroo Care to the NICU. An interview with innovator Danielle Trofe who builds furnishings using natural materials like mushroom mycelium that embody cradle-to-grave sustainability methods. Published in Core77 as part of their series on design for social impact. Congratulations to Brandie Knox on the publication of her article on Managing In-House Design Teams in a book on design management published by In-Source. I’ve been thinking a lot recently about fear. About what it means to feel fear, to acknowledge fear and to overcome fear. I feel fear in myself. A deep, personal fear that often envelops and disables me. But more, I see fear in others. I see it in every act of police violence I have chosen to witness from the safety of my screen, after every shooting, clubbing, throwing of children. I see and I hear the fear. I know from personal experience how deeply ingrained fear is. How difficult to combat. I have suffered from a combination of emetaphobia and severe claustrophobia for many years. These are called irrational fears. Irrational because for most people, these two things are simply not anxiety-provoking the way they are for me. Irrational because in the general population, people do not obsess over these things, stay awake at night thinking about them, develop compulsive behaviors to avoid them or fall into a cold panic when confronted by them. These fears are irrational because they are not based on a commonly-experienced reality. These fears are irrational. But they are absolutely real. They are real because I feel the fear and the sense of nihilistic dread that they conjure up in my mind. I feel that deeply. It feels beyond my control. Confronted with either, my immediate reaction is to panic – fight or flight mode sets in and I lose control of my ability to reason, to say, these things are not intrinsically dangerous. The dread is in your mind alone. Rather, the panic is immediate: tunnel vision, heart racing, cold sweat, trembling . . . and then the compulsive behaviors: clean up, straighten up, anything to make the thing I fear go away. Fear is what I see in every video of police shooting a black man or woman or child. The quick reaction that seems unbounded by reality. The trembling hands holding a gun at a bleeding, dying victim. The compulsion to handcuff a grieving loved one who is forced to witness their boyfriend, brother or friend die. The shrieks of fear set on repeat, “He’s got a gun! He’s got a gun!” “Keep your hands up! Keep your hands up!” “Don’t move! Don’t move!” Shrieks of fear to dying men and women and children who are powerless, who are incapacitated by bullets, who are already dead. These fears, embodied in those empowered by law and guns, are the most frightening of all. So how do we fix this problem? The recent wisdom has been to talk about implicit bias. This feels like a good start. It recognizes a common fact, that many people are naturally inclined toward bias against people of color. But it doesn’t address the fear. And the fear is real. Implicit bias is a common cold to the cancer of fear. What we need to address is the fear. And here’s the thing that feels entirely intractable. This fear, it’s ingrained through centuries of cultural, social and political conditioning. The indoctrination of fear is well established. It’s in centuries old political speech, governing legislations, films, music and literature. It’s embedded in the structures of neighborhoods, in the lexicon of poverty and in the representations of our bodies. I’ve learned something recently about my own fear. Accept it. Don’t give in to it. Try to solve it. But accept it. I want members of law enforcement to begin by accepting their own fear. Know that it’s there. Acknowledge it to themselves. That they are disempowered by their own fear. That they are conditioned to react irrationally to their fear of black men, women and children. Acknowledge that they are not equipped to react appropriately to all human beings because they are trapped in a cycle of fear that often ends when, confronted by the thing they fear the most, they behave automatically and compulsively to simply make it go away. Then I want to disempower them from doing harm. I want to disarm them immediately so that they can do no more harm. 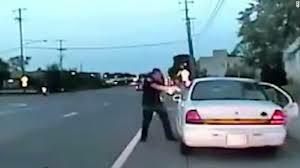 I want the government to disable them from acting fatally on their fears so that black men, women and children – whoever triggers their irrational fears – cannot be annihilated by the sense of dread that takes hold of police offers in those split second moments of panic. I want to disempower them by making it illegal for armed police officers to stop cars with broken taillights. I want to disempower them by making it illegal for armed police officers to confront human beings who are not engaged in acts of violence. Armed police officers should never be involved in situations where a person is selling cigarettes or CDs illegally. These are not offenses that should require firearms. I want to disempower them by making it illegal for police officers to work in communities where they do not live. Every police force, even if it means empowering citizens to act as officers of the law, should represent the communities and neighborhoods that they are hired to protect. By knowing the people, by living with the people, by communing with the people, they become your people and our people. Can you continue to fear what you know? What you know to be good? What you know to be the good in you? When you live among the people you are bound to protect, you can see when someone has a broken taillight and offer to help get it fixed. No bullets required. When you live among people, you know when someone has stolen a car or is engaging in activity that might be dangerous. And then you can act to provide the services and support that might be needed. Because in the end, the police should not be empowered by their fear, but by their desire to maintain peace, order and law. And there is no room for fear when those goals are so clear. I know fear. Let’s acknowledge the fear and then make certain is doesn’t kill another innocent. 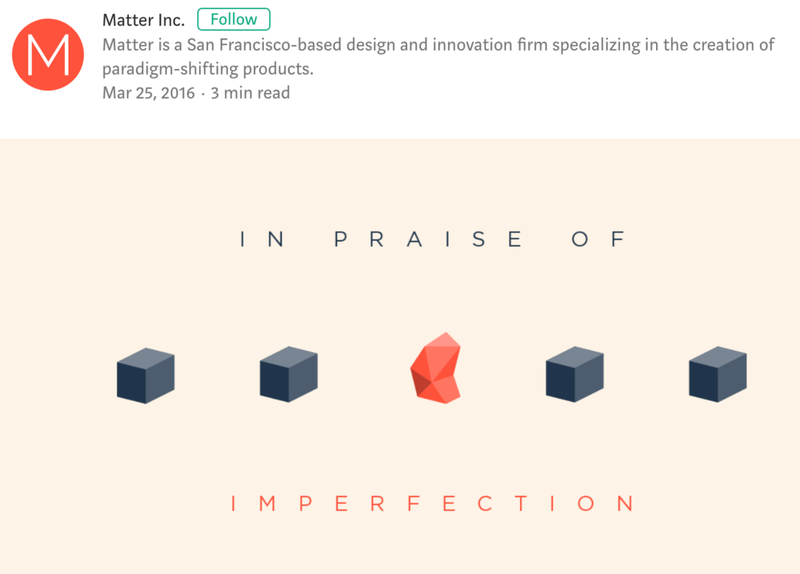 An article by Max Burton of Matter published on the design firm's blog that reflects on the complicated relationship designers have to ideas of perfection as it is experienced by users. Interview with Sly Lee and Nora Hall of The Hydrous published in Core77, September 15, 2016. Read about the innovative work their team is doing to revitalize our global reefs. I am delighted to be collaborating with the wonderful Rafael Smith of IDEO.org on a new course offering at SVA PoD this fall 2016. We spent most of the summer plotting out the curriculum, which raised so many thought-provoking questions and insights. The class, Design for Social Value (as written in the official course materials), is intended to frame a frank discussion about the role privilege plays in the lives of designers and the life of design. In particular, we are approaching this topic from the lens of race. As two bi-racial people of color, both raised in families of immigrants, we hope to engage students in an possibly fraught conversation around how and why designers should interrogate their own assumptions, insights and experiences to better understand how people of color are often disenfranchised by design. By interrogating systems - our behavior and performance within those systems, our expectations and assumptions about the goals of those systems, our understanding of and relationship to power in those systems, our role in perpetuating or dismantling those systems - we will be forced to acknowledge the great variety of experiences other people have in systems we often perceive as benign (at worst) and complimentary or supportive of our well being (at best). Do the systems that enable one group of people to thrive serve to oppress others? These are some of the concerns we want to address? My hope is that this will be a conversation in which we will all inform each others point of view and challenge each other to get into some uncomfortable places where we are forced to push our own boundaries. A Smarter Pet Food Bowl By A Mind Behind Disney MagicBands by Mark Wilson. In her interview with the always insightful Anna Farmery, marketing consultant Kathleen Gage addressed the question of how to unlock the inner secrets that lead to professional success. What struck me in particular, was the discussion concerning how professionals choose the right path in their career or business evolution. The discussion was couched in terms of a dichotomy between expertise and passion. I’d like to add another dimension: motivation. Motivation as a factor distinct from expertise and passion. For the creative business owners I work with, the question of choosing the “right” path to success is one they often navigate fearfully. To begin, creative professionals are generally assumed to be drive by passion above all else because many people equate designers with artists which carries its own baggage of assumptions. 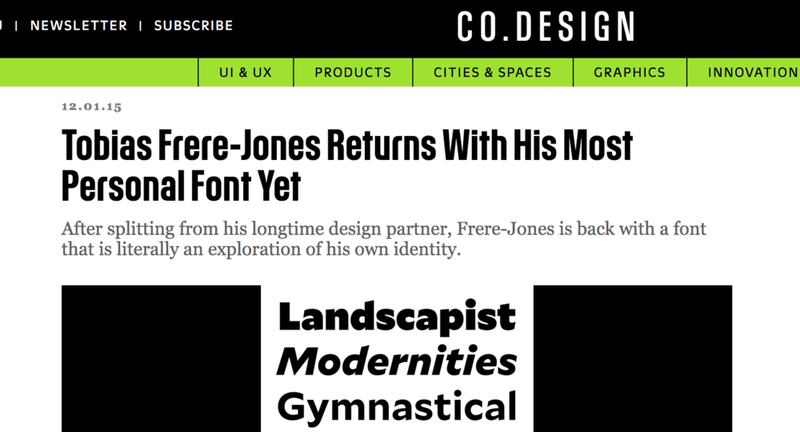 Certainly like great athletes, designers (most professionals, I would argue) are most successful when their passion and expertise beget a mutually beneficial cycle of positive reinforcement. More simply put, they identify early on the passion that leads to competency that reinforces the passion that drives them to improve or broaden the competency, all yielding positive feedback and on and on. Let’s stop for a moment and think about passion and expertise. Right now, make a list of all the things you feel deeply passionate about. If you’re anything like my clients, colleagues, friends and family, you’re writing a pretty long list. Maybe your chosen profession isn’t even at the top. Now, a new list. Thoughtfully and immodestly list all the things you do skillfully; things that you might even be expert at or could become quite exceptional at given the time and opportunity. That could be a pretty nice list, as well. Is it comprised of only the things you do at work? Doubtful. The point being, we are often driven by passion and skill (or expertise) to follow a particular path at the onset of our careers, and the development of expertise might keep us moving briskly along a particular path, but there are many factors that inform the decisions we make about how to evolve and manifest our desire for success. How do our ever-evolving circumstances inform the changes we often need to make about the initial paths we’ve chosen? How can we remain alert to our needs, goals and expectations as they shift over time? Absolutely, age is a factor, as Ms. Gage points out. Our individual age as well as the relative ages of our colleagues. What happens when we find ourselves more senior in a field that seems to reward youth? How do our life circumstances shift as we get older, and how do those shifts - responsibilities concerning family, home ownership, travel goals, etc. - inform our professional choices? How might our insights about and experiences in the world evolve our view of what’s possible? Similarly, our own sense of what we care about can change. While we began a career in a field we might have studied in school, or was expected of us for various reasons, we might decide to strike out on a divergent, parallel or dove-tailing path. Again, our experiences inform these changes. As we become more aware of our strengths, insights, interests and the larger context of the professional universe we inhabit, our options may seems broader than we initially believed. While evolving in one’s profession does not necessitate wholesale change, a clear-eyed assessment of why we make the choices we must is necessary. For that we must think beyond our passions and expertise and consider our motivations. PASSION is the work I absolutely love, that give me joy and an inherent sense of satisfaction. Few external measures or motivations are needed to keep me interested in my passion. EXPERTISE is my ability to do something exceptionally well. It is my area of particular competence, which evolves over time. MOTIVATION is what drives me to make choices and changes throughout my career. For many professionals, regardless of their passion or expertise, what drives change is a personal goal or a set of external factors that inform what they need at any given point in their lives. Motivation is a force of its own. I'm going to take us back to Freud for a second. Let's call PASSION the ID - this is our instinctual self acting out its desires. EXPERTISE acts as the EGO, balancing our instinctual and questioning selves to enable us to act within the social world appropriately, in this context, to do good work. MOTIVATION then is the SUPEREGO - the internal voice that guides us to weigh choices thoughtfully. Sometimes the Superego is the brake system - our moralizing voice - telling us to slow down when making a decision. This side of us asks that we act rationally and weigh the factors that will lead toward the best possible outcome. One strongly motivating factor for some people is the ability to answer the question, “what did I do today that was worthwhile?” Here’s another very pragmatic one: the ability to check things off your to-do list every day. When we consider our priorities, one or two motivations naturally emerge above the others as key factors in our decision-making process. And these shift over time. In fact, where at one point we may be more motivated by money - higher earnings or the promise of upward mobility; at another stage we may engage in a major shift because a new baby or an ailing parent demands our attention and so more flexibility is needed. We may leave a job to launch our own business with the certainty of less money in the short term because ownership offers more control and the possibility of legacy. 1. Gayle recently confessed to me that her real motivation right now is money. She would be willing to set aside what she loves for a position that increases her earnings. Five years ago, she felt very differently. At that time, she sought meaning and was motivated more by feeling connected to and needed by her colleagues. 2. Isabela is undoubtedly passionate about design, but what’s motivating her to grow her business in a particular direction is her desire for renown within her field. As a result, she is making hiring decisions that will allow her more time to travel and attend conferences; and we are developing a PR strategy for her that amplifies her message within her client industry and the design community. 3. Malcolm started a legacy project at the age of 50. He launched his own business five years ago because he was driven by a need for control following the sudden death of a family member. Leaving a high profile position in a renowned design firm for the wilds of entrepreneurship hasn’t been easy, but he knew that he needed to shape his own destiny at this stage in his life. 4. Amelie and her business partner have been running a successful design firm for over a decade but new ideas have started to percolate and they’re now thinking about a seismic shift in the firm’s offerings because, as we diagnosed, they started to feel that they were living in an echo chamber. Only talking to design insiders and losing the opportunity to engage in a larger cultural conversation. Their motivation for change is based on a philosophical insight about who they are and what they want to become. Thank you Robert Frost for my final thought on this matter. As you forge your own path toward success, and you get ready to make a career-shifting decision, know that as you stand at the fork in the road you are not walking ahead blindly. You have all the force of circumstances and insight to guide you. Know not just what you love and not just what you excel at, but what best suits your needs at this time. To do otherwise is to set yourself along a path toward feeling overwhelmed, underwhelmed, guilty, ambivalent and otherwise unsatisfied with the choice you’ve made. With clear insight about your motivations, you will find a path for success in all its complex and ever-shifting meaning. You have a genuine, driving interest in and have developed a clearly defined point of view around a particular industry. You know the people, the jargon, the drivers, the challenges, the opportunities because you have spent time and gained experience learning about and working with them. Your work clearly demonstrates your capabilities in this arena. You have key referrers among the influencers in this arena. You have a way of working that is unique to and uniquely own-able by your business. You can clearly articulate your unique methodology, including the specific elements that drive success for your clients. Your methodology aligns with measurables demonstrating the success of your process. You have case studies that demonstrate the strength of your process. You have client testimonials that specifically reference your process as a point of difference and a driver of their success. You have a unique philosophy that drives your business, your relationships with clients and the work you produce. You have published elements of your core philosophy. You are steadfast and resolute in your decision to only work with companies that espouse your philosophy. You are known for and asked to present your point of view. Your work clearly demonstrates and is held up as a model of your core philosophy. Clients have indicated that they are inspired by and have chosen to work with you because of your philosophy. Clients have indicated that they have met with success because your shared perspectives were aligned around your core philosophy. You can demonstrate both deep and broad expertise in a technique or medium. You are known and praised by clients and colleagues for your craftsmanship and/or production quality. You can demonstrate your ability to deliver on a broad range of industries and strategies principally on the basis of your technical expertise. Your visual portfolio clearly demonstrates the excellence of your craft. You offer workshops and/or technical demonstrations related to your craft. You have an iconic style (which may change over time). You can demonstrate how your style has defined success for your clients. You are recognized in and beyond the design field for your aesthetic point of view. People seek you out because of your aesthetic point of view. Your work is typically judged by its style (as opposed to more quantifiable measures of success). You are principally interested in cultivating your style. Your design team is hired and trained to support your aesthetic point of view. You have a unique business structure. You have an active, broad based network of collaborators with whom you have developed meaningful partnerships. The unique make-up of your team drives success for your clients. You are able to shift your business model as cultural or socio-economic shifts occur. You see your business as a continual work in progress. You seek out new ideas and models for running a design business including those beyond the design sector. Where does your passion lie and how does it align with your core capabilities and the goals you have set for your business? With an understanding of what drives you and what drives success for your clients, you can scaffold your growth in a way that leverages your best assets and lays the foundation for continued to success. Have other thoughts on how to assess your optimal area of specialization? Let me know in the comments. Specialist or Generalist? Try Scaffolding. These are valid fears. But, in reality, is the specialist vs. generalist choice a false dichotomy? Are design businesses forced to choose between two such rigidly binary identities? In fact, many creative businesses I've looked at live along the spectrum of specialist and generalist, focusing at some point on a particular area of expertise then opening up to the broader possibilities then focusing again ad infinitum through the life of their business until, at some point when they look back they can say, yes I specialized but overall I captured so many areas of expertise that I became something more like a generalist. Call it the business equivalent of the 7 Year Itch. In order to keep the marriage with your business alive and happy, you might have to scratch that itch once every five to seven years by finding something new, unique and exciting to get you re-engaged, re-invigorated, re-inspired and re-committed. I want to tie that sentiment to a process that I think will be helpful to creative businesses continuing to struggle with the question of how to stay focused (specializing) while also continually growing (becoming a generalist). In the early part of the 20th century a young Russian educator by the name of Lev Vygotsky developed a theory of education that came to be known as scaffolded learning or instructional scaffolding. The theory holds that learning happens when a structure is in place to guide the learner from interest to expertise through a careful pedagogical process. The analogy to a building scaffold is that this methodological structure supports the learner until she is able to stand on her own merits. To apply the analogy to your business, think about your creative business itself as a building edifice. It must have stability and integrity of its own simply to stand. But as the building ages and as new needs arise, the building may undergo construction to maintain its integrity and improve the way it functions. Perhaps the building must grow upward, adding more stories; or outward, taking up more territory; or it might need some cosmetic changes to the exterior or interior, making it more relevant to the times. No matter the nature of the changes, at no point do they undermine the underlying integrity of the existing structure. In addition, the scaffold remains in place throughout the construction period until the edifice can once again stand on its own. Throughout, the building remains open and fully-functioning. It may have some work-arounds, but it continues to serve its purpose. In fact, since growth can only happen when the structural integrity is secure, the very nature of the pursuit signals that you are increasing the value of the business. 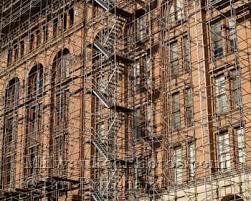 Here's the process of scaffolding as it applies to growing your business. A formalized process for developing a new area of expertise or specialization (and presumably you have done the due diligence before this stage to determine what that new area will be, why you are activating this change and what your measures of success will be). To erect your scaffold, start at the bottom level and work your way up. As with any project, you begin by establishing a set of guiding principles. Here's a pretty clear place to start: "Our business is going to learn about new industry X (or method or medium) in order to grow new business and inspire our team with new ideas and practices." Activate your team into learning mode. Give them research tasks, resources, a central repository for their ideas and a forum for sharing them publicly and enthusiastically. This is team building with a mutually-beneficial goal for the entire business. The more everyone learns and brings their unique lens to the investigation the more rooted the learning becomes and the more you empower personal growth and cross-pollination of ideas. As your team collects and discusses new information and ideas, consider different points of entry: watch experts in practice and try your hands at manipulating new ideas in practice; meet with elder-statesmen in the field to learn the history first-hand; visit archives to find hidden gems that don't exist online. Be creative in this stage. And, importantly, don't rush through the information-gathering stage. Give your team time to gather and reflect. Now you get to discover what you've learned, or rather, to discover whether you've learned what you've set out to learn. Now's the time to make something. Make lots of somethings. Rapid prototypes. Beta tests. Models and mock-ups. Make them well. Make them count. Use them to judge whether what you've learned is relevant and worthwhile. Be critical but kind, giving your team the encouragement and constructive input that enables positive change. First, think about who can give you the most useful feedback on what you've made. You want someone(s) with relevant insights and the ability to express a clear point of view. This might come in the form of your team, for starters. But also consider who in your target sector can play this role. An elder statesman in the field or a full advisory board (comprised of professionals who represent a variety of specialties in your target sector). Whoever it is, ask for their honest and critical feedback on what you've made. Based on the feedback you received, you determine if more learning is needed to achieve your desired level of expertise. You might also determine at this stage whether your team contains the proficiency it needs to establish the business as an expert. If not, you might alter your business model, decide on new hires, send team members for additional training, bring in new collaborators or assess the viability of your field of expertise. Finally, the scaffolding comes down and you move forward on your own merits. You start pitching your new area of expertise in conversations with the broader community, with case studies on your website, through white papers and articles published in the right publications, in presentations and, ultimately, in the new work you start to bring in with new clients. If your business is committed to growth it must necessarily be committed to learning. The process of learning for the business every 5-7 years will keep your team engaged, invigorated, inspired and committed. And the ripples will be felt by every member of your team to every new client you meet. For additional inspiration, I encourage you to listen to the wonderful Jared Spool interview on Let's Make Mistakes and read this article on the "expert generalist" by Art Markman published on 99U. Tell them Vygotsky sent you. After first looking at the false dichotomy of specialization vs. generalization and presenting a viewpoint on how to scaffold the growth of your business, and then exploring the characteristics your firm brings to a particular type of specialized focus, I am going to elaborate a bit on how you might go about attracting new business in your chosen niche. You know this from your own design investigations: the most effective communications are focused, clear and purpose-driven. When you look at the landscape of the most successful designs, ads, apps, brands and products, you see that they are driven by a clear purpose, a point of view, an understanding of (and hopefully respect for) their audiences. In fact, this is what you help do for your clients, isn't it? So your communications strategy, which drives new business development for your firm, must be equally concise, focused and purpose-driven. And of course that means that some element of specialization is requisite in order to optimize your new business efforts. I wonder, though, if many businesses see new business development as following a linear path. You started communicating in this way and you must remain consistent unless there's some major shift in your business model. In fact, while you must remain consistent in your core principles as a business, your new business strategy has a lot of room to shift and change. As you define new audiences or markets for your business, as you grow new capabilities, as you engage with new audiences, the specifics of your strategy will change as well. In particular, as you develop a new area of specialization, you will be challenged to communicate your value to and initiate new business initiatives for your ideal clients. The following are 4 steps to get you started. Your first step is to understand who your ideal client is. In specific. Really know what type of business you are ideally suited to deliver success to (or with)! Be in the head of the person at that business who you think you need to talk to. Know why and how you want to work with them. Now sketch it out, write it out, outline it, brainstorm it and put it in writing for your everyone on your team to connect with. As you might do for your client, prepare a series (2-3) persona profiles to help put some flesh and blood around your wish list. It will inform your strategy and provide a reference for your intake procedures (meaning when you're qualifying clients, you can actually check off where they're situated on this list of ideals). While you're thinking about your ideal clients, consider this. Just about everyone wants to work with the big-name brands. Don't start with those. Think beyond brands you want to add to your portfolio! Instead, consider how you might turn a new or smaller brand into one you'd be proud to add to your portfolio because YOU helped to turn them into a big-name brand. By being honest and clear with yourself about why these businesses will succeed as a result of your vision and passion, you can now prepare a concise new business / pitch presentation that clearly communicates the value you bring to their businesses as you move to the next step. So now you've identified maybe a half dozen or so actual businesses that you want to connect with. It's time to expand the dossier with information about key decision-makers at each company. After all, you're talking to and working with people, not businesses. And before you can have a conversation with the people who might hire you, you need to know a little more about them. What makes them tick? What keeps them up at night? What's they're big hope for the future . . . the future of their business and their own careers. Listen, you may talk to someone today who isn't going to contract you to work at their company tomorrow; but if you keep that conversation going there might be a project at a future company 5 years from now. Is your ideal client worth waiting for? Absolutely. How? By listening to them in person and via mass communications: following them on their most prolific social media platforms, reading their blogs and other published work, attending events at which they speak, learning more about committees and boards on which they serve, etc. Take the time to learn before you move onto the next step. Making contact depends on what you know, what they need and whether the time is ripe. The key idea here is make the first contact matter to them. But that doesn't mean first contact has to be everything, say everything, mean everything. It's the first of many conversations you will have because you are committed to this community of ideas. Your goal is to initiate a dialogue that they will want to continue with you because they find your ideas valuable, helpful, inspired and engaging. If you can speak to them about design and design strategy in the context of their business or organizational concerns, you can develop a more meaningful long-term relationship not only with one client but with an entire community of clients. Of course that means you're still following their ideas on social media. Having read their ideas you can initiate meaningful dialogues around shared interests and ideas, letting them take the lead. If they write something that you find meaningful, respond to it, share it, reference it in your own blog forum, giving them credit and linking back to the original idea. Ask a colleague or strategic partner to make an introduction when the time if ripe. Identify at least one future event at which to meet them. Join committees or events in which design strategists might be valuable participants. Email them with an idea around a shared interest, co-authoring an article, co-producing a conference panel, an invitation to see the inner workings of your studio or a request to pitch your business. Remember to act wisely. Consider the value of the relationship you can have with key influencers and lifelong clients. They are worth the wait. How did you meet your first ideal client? Share your experiences in the comments. Are your clients in the funnel? I've been struggling for the past 6 months or so to come up with a new visual metaphor for the client engagement cycle because the funnel just doesn't work for me. Visually, it sets up a one-way street that begins at the top with this nebulous group of leads and dead-ends when someone becomes a client . . . or worse, clients drop through the funnel into, where? How we talk about ideas informs how we act on those ideas. So let's push away the funnel and define communications & outreach as ongoing, immersive, peer-based, mutually-beneficial engagements that build social capital for all participants, bringing together designers who have unique expertise and the clients who will grow and succeed as a result of working with you. Visually, I'm resorting to the good old circle. And I'm adding one level of engagement to the model: first you talk to your community, then your leads, then your prospects and then your clients, who then feed back into the community. Design firm principals: you are not running a standard B2B business. You are creative consultants, strategic partners, enduring voices of reason and change for your clients. When you're developing new business for your firm, you're not trying to sell people on a "practical service." You're not fixing their roof or preparing their tax return or writing their will. It's just not that kind of service. The work you do changes the way people engage with information and objects and ideas; brings beauty and meaning into the world; creates enduring bonds with people (be they customers or clients or audiences). And more, right? So how you do what you do, how you talk about it, the way you impart to clients the greater value of your work as designers exists beyond "service" and "outcomes." How you talk to your clients about your work can help them change the conversation they're having with their colleagues and peers about why these things matter and how these ideas take shape. These are engaging conversations about how this wonderfully nuanced thing you do leads to their success: often measurable and quantifiable but sometimes more subtle and evolutionary. You partner with the best clients - your greatest advocates and referral sources - after projects end to continue those conversations at the community level - preparing shared content with them about your intersecting expertise and experiences to be presented in industry publications and at industry events or inviting them to serve in an advisory capacity to your business. From funnel to cycle, you are re-staging the conversation to demonstrate your real commitment to your client community and reaping the mutually-beneficial rewards. Keep the funnel in the kitchen (or the garage) where it belongs! Why Content Matters . . . more than numbers. I recently received push-back from a design firm principal about the role social media plays in the design "buyer's" decision-making process. "Numbers," I was told "matter." I disagree. Now, I always lean more toward quality of experience than quantity (however that may be defined). So social media is no different. It seems so clear (and perhaps even more so in light of Coca-Cola's recent admission about the lack of ROI from social media) that the quality of the experience must be the principal consideration of engagement. And this is such an exciting prospect. You don't have to worry about numbers! You can relax and enjoy engaging, on your terms. In your unique voice. Based on your ever-evolving goals and insights and inspiration. This is the joy of social media. The social connection you are creating through shared ideas across all sorts of pre-existing boundaries. Why corrupt it by making it a numbers game. What a horrible waste of an opportunity to make meaning in the world. If you have 200 active relationships on social media, and those people are connectors and decision-makers who are helping to amplify and evolve your message, you are on the right track. So what does this mean for your business? Moving beyond just social, the content you create is the core of your business. Keeping in mind that content is about what you say as much as what you write, your small creative business builds social capital based on the value of the ideas you share. Your value is in your thinking as much as in your services. Your business is greater than the sum of your portfolio; your vision matters. Long-term partnerships are more meaningful to the creative business model than single project purchases. Sharing your ideas builds knowledge and trust. So What Should Your Content Do For You? This top-line statement, motif or sentiment expressed through words, images and the organizational framework of your communications portfolio encapsulates the ethos of your firm. There are no absolute rules when it comes to expressing your positioning. It can be short, direct, whimsical, visual, original or borrowed. It does not need to be literal or descriptive. It can be a question or a series of questions. It can be a phrase. It can be actionable. It can change to suit your evolving thinking or capabilities. What it must do is express a unique point of view. A solid position should draw clients in and give them some insight into your thought process. At its best it can turn curiosity into action. Where some positioning statements lack impact is in trying to explain the nuts and bolts of a firm’s design process rather than expressing a compelling sentiment; or by using the familiar rhetoric of “we solve problems” or “we craft unique solutions” that countless other firms have used. Be unique and consistent, making certain that the language and tone of voice used in your positioning statement extends through all of your communications materials. While it is true that the work should speak for itself, your role is to provide context, to curate the experience of looking. Draw prospective clients’ attention to a particular area of expertise, a nuanced set of ideas expressed visually and strategically. Prospective clients may have a visceral reaction to your aesthetic but they may need help seeing the relevance of your past experience to their current needs. At its best, your communications should be a mirror back to them that expresses what they want to look, feel and sound like - not as an act of mimicry but as a process of expressing their own unique vision. Say more with less. A handful of highly thought-provoking case studies can communicate more than a soup-to-nuts portfolio presentation that fails to highlight your unique skills. If your positioning centers on the idea that design adds quantifiable value to your clients’ business, it becomes essential that you demonstrate measures of success. These may be elaborate process explications or the more straightforward presentation of data (“2 million copies sold,” “5,000 new customers at launch,” “22 years in business,” etc.). While it may seem obvious, you want to make the explicit connection between your design solution and your clients’ successes. In addition, it may be helpful to create categories that serve as a cross-reference so that clients can, again, find themselves in your work. Organizing your client list or project list by industry and/or service enables viewers to navigate to the information they want more quickly. Regardless of the quantity of projects in your portfolio, you can demonstrate your capabilities by elaborating on the big picture thinking you provided and the long-term relationships you developed as a result. Of the many tools you use to establish you stability and credibility - principal and staff bios, client lists, case studies, client testimonials, accolades - the most important are those that allow others to speak on your behalf. Your credibility, your reputation, is built on the value of the service you provide to others. Your clients' successes are your successes. Let them speak for you. Testimonials allow your clients to speak for you in just a few words. Consider how each of your clients might praise specific qualities of your work with them. For some clients it might be a definable quality, like presenting them as a credible, established business at launch or creating a brand that allowed them to grow their business. For others it might be something more abstract, like a way of working together or your ability to deliver what they wanted beyond their expectations. Your past clients are walking, talking testimonials for your work. If you're doing well, they should be spontaneously referring qualified leads to you. If they're not, take the time to find out why. Perhaps they simply don't know how to talk about the work you do and the value you bring. Continue to nurture these relationships and provide them with the language, and impetus, to spread the message about your firm's unique value. Lastly, spend a little time on your bio. More than just a work history, it serves as a living document highlighting what you see as the key accomplishments of your career and can draw connections between diverse and interesting milestones. You and your colleagues are active participants in the world of design as well as in your client’s industries. When competing for work, a design firm may stand out because of its philosophy, its portfolio or its credentials; but it might also gain considerable points in the client’s eyes if its work is perceived to be particularly relevant. Talk to your client community about issues that reflect the intersection of their concerns and their expertise, your collective vision, a shared understanding of the past, present and future of business and how it impacts decision THEIR customers, clients and constituents make. Talk about what matters and why. How you demonstrate your relevance will depend on your level of activity, but whether you create dialogues at speaking engagements, via social media or through the press, your role here is to continuously evolve your thinking and bring ideas into the marketplace that inform change. Remember also that your ideas do not exist in a vacuum. Collaborative idea-generation with clients, colleagues and connectors will both amplify and evolve your ideas. You are more than a professional. For many clients, your personality is as much a part of the relationship as your expertise. It may not be the deciding factor in whether clients work with you, but by featuring something of your personality you may entice them to dig a bit deeper. Showcase self-initiated projects or products. Showcase you unique vision in a published piece - scaled to suit your particular message. Talk about your involvement with social activities that inform your worldview. These are all activities that inform their work as designers and offer insight into their personality and philosophy. And invite your client community to join you in your personal endeavors in ways that bring meaning to their lives. Not as a random act or as self-promotion, but in a targeted way with clients and colleagues whose interests intersect with your own. Your clients want to do business with people they admire, trust, respect, people who inspire and provoke them, people whose ideas are worth exploring and sharing. Be that person. And don't worry about the numbers. If you mean it, they will come. NEXT ARTICLE: What Content Can Do For Your Clients . . .